Fashioncraft are big fans of heart themed favors. After all, they truly capture the essence of the tremendous love you want to share with your family and friends on a day to remember. 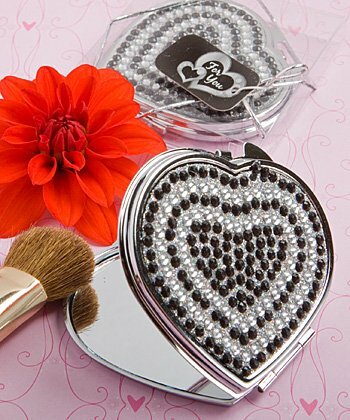 And, with these heart favors, we think we added just the right amount of sparkle and functional flair! Each measures 2¾" x 2¾"
Packaged in a clear display box with a metallic silver rope tie and bow and an attached heart design "For You" tag.